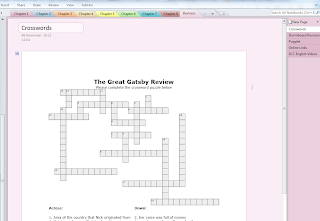 Last year I created a Popplet presentation on The Great Gatsby that allowed my Leaving Cert pupils to submit work to me at anytime, through Edmodo. This year I decided to try the same task using new videos, a new web app and a new collection system. In the Stormboard below you'll find six videos accompanied by six questions. 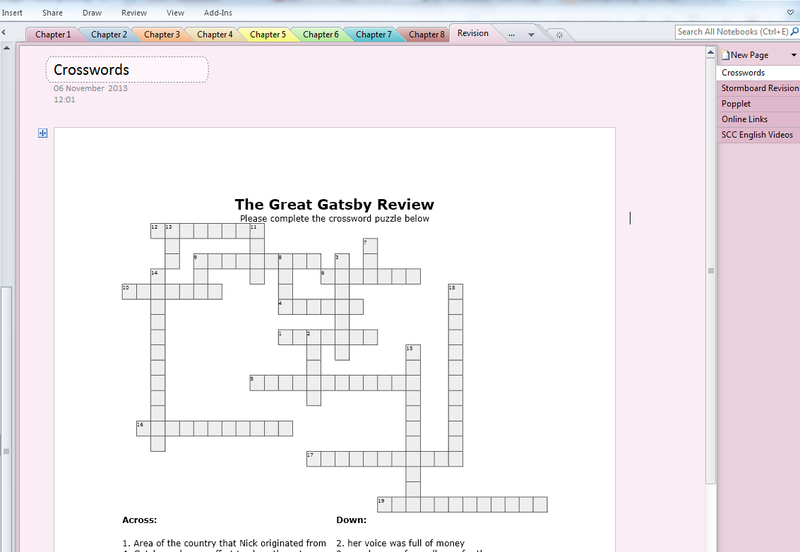 The questions differ in length and difficulty and culminate with an essay on The Great Gatsby. 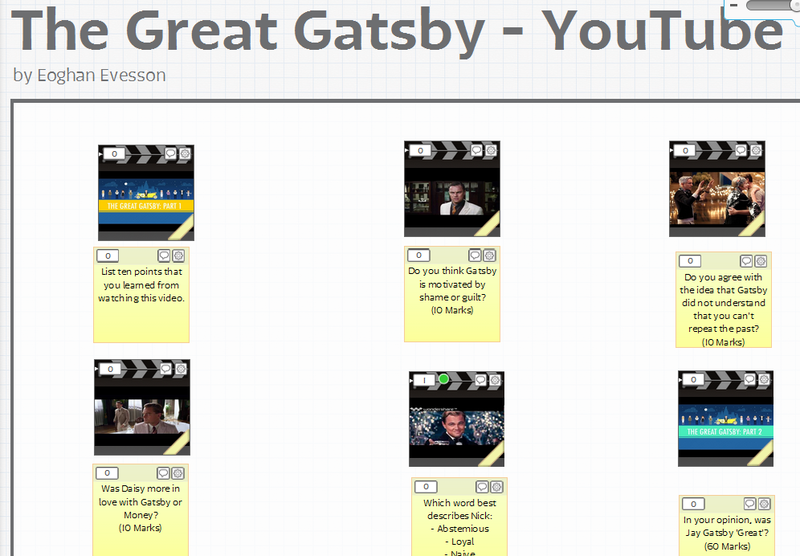 You may even just find the videos a good starting point for a class conversation or to help generate opinions on the novel. Maybe even create your own questions. I hope teachers and pupils might find it a helpful revision tool once they complete the novel. Be sure to plan question 6 really well before you begin! OneNote Folder System - Intuitive to use for both teachers and pupils.